Voice of the Voters this evening made history by opening up its phones to the nation to converse with the Ohio Secretary of State Jennifer Brunner, who is making such inroads into voting reform as a result of her recent study EVEREST. Said VoV’s host Mary Ann Gould, this was the first time in history that such a dialogue was taking place, the voters’ voices truly being heard and answered. Most of the callers first expressed appreciation for the secretary’s brave innovations that she plans to implement in time for the November election. She said that she had refocused to precinct-based optical scanners (PBOS) from centrally based machines, which she has now relegated to a second step in the process, a primitive form of audit that will be tabulated after the elections and then compared with the PBOS results. The problem with PBOS, strongly advocated by Mary Ann, is that their memories shut off at times, though they continue to scan the paper ballots, guaranteeing that the electronic tally won’t match the paper count. Brenner, who appeared on VoV two weeks ago to discuss EVEREST, expressed her own appreciation that such a diverse group of people coalesced on this plan with its back-up: election officials, activists, and government employees if not computer experts. Jennifer from Dayton, the first caller, wanted to know whether paper ballots will be available if voting machines “flip” from one candidate to another. The answer was that the ballots will be printed up in quantities that represent 10 percent of the number of voters who came out to the precinct for the most recent vote. Ohio voters can request paper ballots for any reason and if these run out, it may be possible to substitute blank absentee ballots. Brent called to ask whether election officials were “at the ready’’—that is, familiar with open-source code systems. The answer was that most don’t have technical backgrounds and still rely heavily on the machine vendors. Perhaps technically knowledgeable people can be brought in—the public will certainly prefer this option. Victoria from Cleveland, a computer scientist, expressed her opposition to DREs as well as open-source voting as a solution, in that source codes vary from computer to computer. She asked that Brunner investigate hand-counted paper ballots (PBs), which are used in some of the states and all over the world except for some of the first-world Western European countries. She said that opscan paper ballots are not even counted. Brunner answered that a feasibility study will be far less expensive than was the recent EVEREST. “That’s where we’re headed,” she agreed. There is not much overhead or training required. She is looking for a statistically significant method for post-election audits—another feasibility study would antagonize her bureaucracy and, in any event, with hand counting poll workers fall asleep. A problem easily remedied, said Mary Ann, by bringing in fresh crews rather than leaving the fourteen-hour task to only one set of workers. Dan from Columbus expressed his support for the attorney general’s decision to form a voting-integrity division. Attorneys will be present at the polls to observe vote counts and to help out with election procedures. He referred to the 2004 lockdown in Warren County and wondered if a repeat scenario was possible. “That will not happen again,” the secretary of state assured him. Mark from Columbus pointed out the unfairness of the two parties’ control county voting operations when fully half of the voting public is nonpartisan or otherwise affiliated. Brenner answered that the ratio is really closer to one third of the population representing each group. The system was set up this way because its origins were far more rural than the present system. Legislation is pending, she said, and actually the two-party system is more complicated than a three-way arrangement among all of the affiliations. 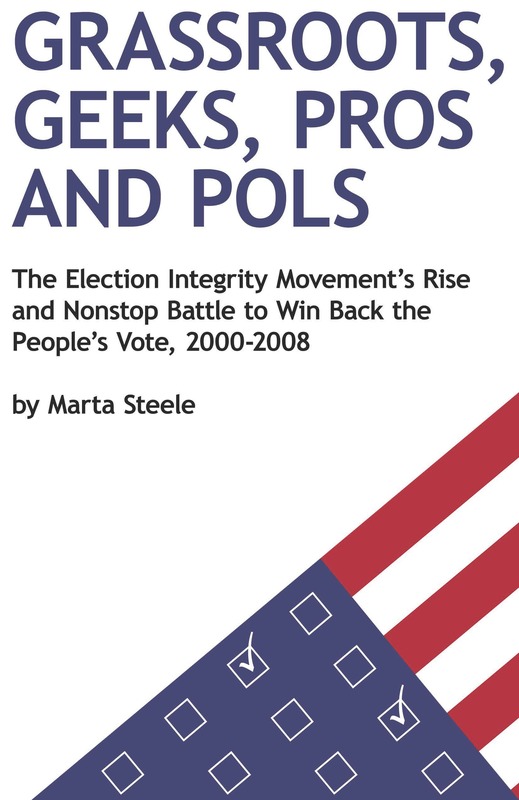 The next caller focused on Cuyahoga County, a scenario of scandalous election fraud in 2006. A special election in March had, by a tie Brunner had to break, selected paper-ballot voting for the county, though special-needs voters will use DREs in that no alternative is yet available there. As well, the state legislature plays a big roll in voting issues. A large statewide lobby wants a county-by-county system rather than one for the whole state, as exists in New Mexico and will in Florida, for example. If there is no success at the legislative level, they will be “stuck with DREs,” now present in 57 out of Ohio’s 80 counties. Brunner spoke of the long lines these machines cause and how much faster and efficient it is to use optical scanners.